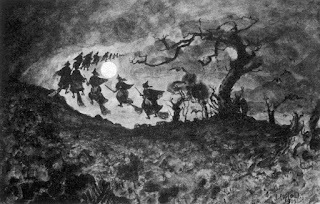 I recently published a novel based on the life of Hugh and Mary Parsons, accused witches of Springfield, Massachusetts. A few months before Hugh was accused by his wife and neighbors, the Carringtons were found guilty and hanged for witchcraft. Unlike the Parsons their testimony did not survive but was their case the impetus for the subsequent accusations leveled against Hugh Parsons? John's name crops up in the court records for several offences including selling a firearm to an Indian, a serious offence. He was a carpenter by trade and a farmer by necessity. His wife's name was Joan. Not much else is know about pair. They were likely unpopular in their community and may have had some peculiarities. Or, they might have been a perfectly normal couple, either way, their world was rocked by the accusation of witchcraft. We have no idea of the accusations against the pair, but if they were anything like those leveled against Hugh Parson, we would find them shocking in their silliness. Hugh was accused of magicking away knifes and trowels, turning a cows milk different colors, causing aches and pains, splitting of puddings and other silly actions. Astoundingly, the magistrate, William Pynchon took the entire event seriously, possibly because of the case of the Carringtons. He may have felt he had a standard to uphold or it might have the the fact that he himself was in the dog house for his personal religious beliefs recently expressed in his self-published book which was burned in Boston. In any case, the fate of the Carringtons must have played a part in Hugh and Mary's arrests and trails. Joan Carrington thou art indited by the name of Joan Carrington, the wife of John Carrington, that not hauing the feare of God before thine eyes thou hast interteined ffamilliarity with Sattan the great enemye of God and mankinde and by his helpe hast done workes aboue the course of nature for wch both according to the lawe of God and the established lawe of this Commonwealth thou deseruest to dye. 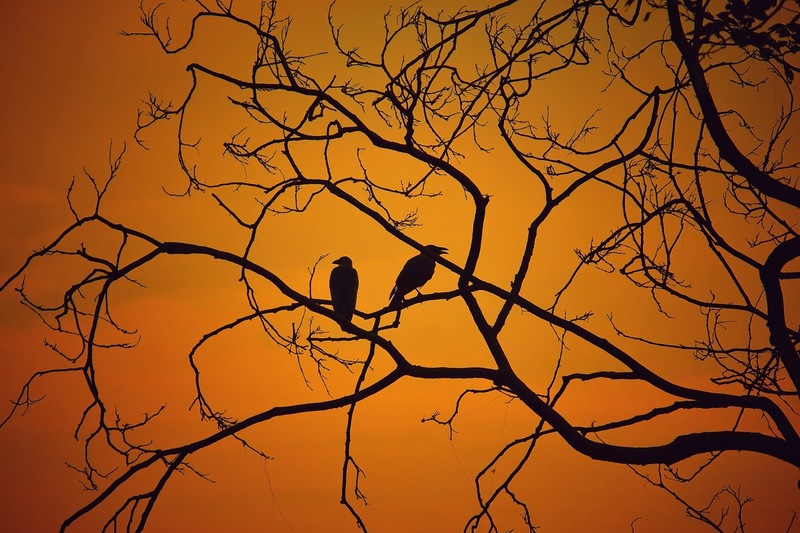 John and Joan were hung shortly after their trial. Justice was swift and brutal with no chance for an appeal. But that was life, short, difficult and not very sweet. It is said that they had at least one if not two children; John Jr. and a daughter Rebecca. Rebecca must have been farmed out to a local family. She survived and married in 1671 to Abraham Andrews. In 1672 a second woman named Mary Parsons was tried for witchcraft in Springfield, she survived and lived to die an old woman. But the scars must have been deep and the threat ever present. 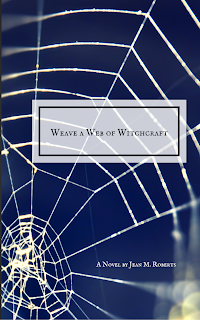 If you are interested in reading a detailed account of Hugh and Mary Parsons and a historically accurate portrayal of life in the 1650s in Puritan Massachusetts and Connecticut I recommend my novel WEAVE A WEB OF WITCHCRAFT, the story of their lives and how they came to be tried as witches. Luckily, their testimony survives and has formed the basis for my book which is available in paperback and Kindle version on Amazon. Great Migration 1634-1635, C-F. (Online database. AmericanAncestors.org. New England Historic Genealogical Society, 2008.) Originally published as: The Great Migration, Immigrants to New England, 1634-1635, Volume II, C-F, by Robert Charles Anderson, George F. Sanborn, Jr., and Melinde Lutz Sanborn. Boston: New England Historic Genealogical Society, 2001.